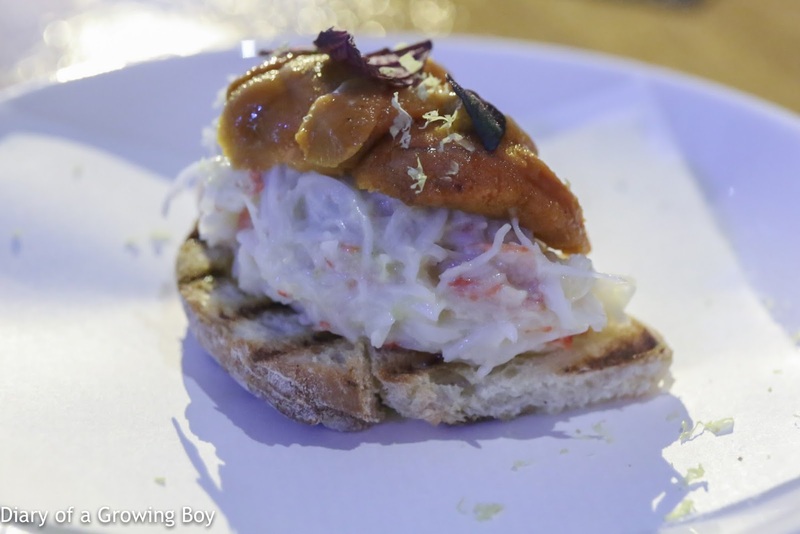 I was catching up with a friend tonight, and we decided to check out Upper Modern Bistro. As it turns out, my friend had never been there, so it turned out to be a perfect opportunity for me to revisit after being away for about a year. Mini truffled Croque-Monsieur - I've always liked Croque-Monsieur, and these were cute bite-sized versions... although these were neither baked nor fried. 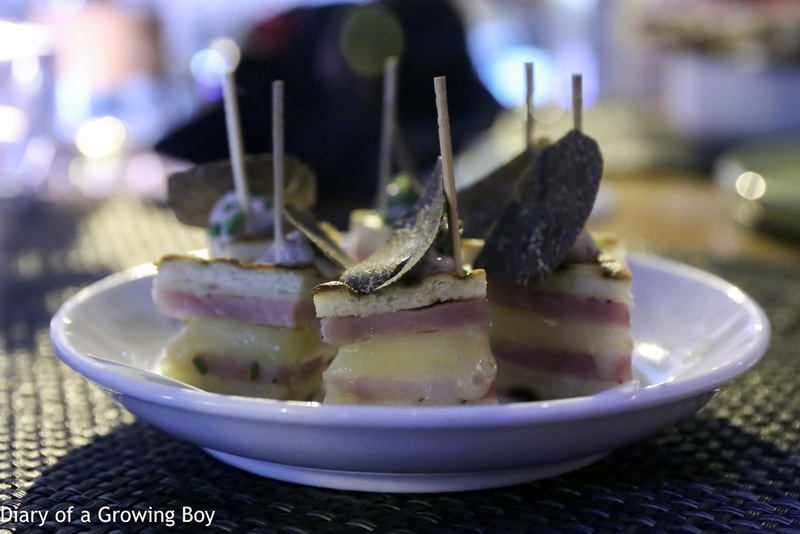 The Emmental and the jambon de Paris were nice enough, and the thin slices of black truffle on top made things a little more luxe and interesting. Sea urchin and avocado guacamole, lobster jelly, salmon roe - this was damn good. Guacamole at the bottom, lobster jelly above, then a mélange of sea urchin, salmon roe, chopped chives, and red shiso (紫蘇) leaves. Seriously, it's hard to go wrong when you have this combination, especially when there's smoky emulsion to work with the sweetness, the umami, the acidity, and creaminess. 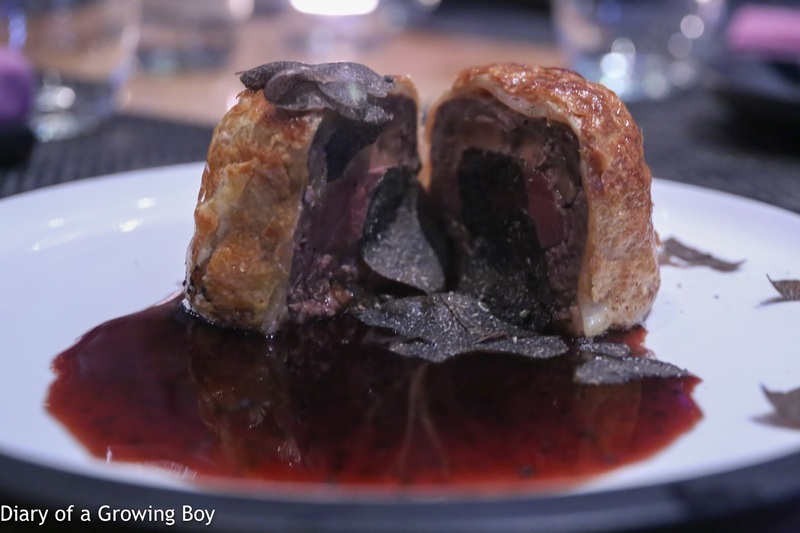 Pigeon and foie gras Pithiviers, winter salad, Périgueux sauce - it's hard not to like Pithivier... especially in winter when it is stuffed with game meats. 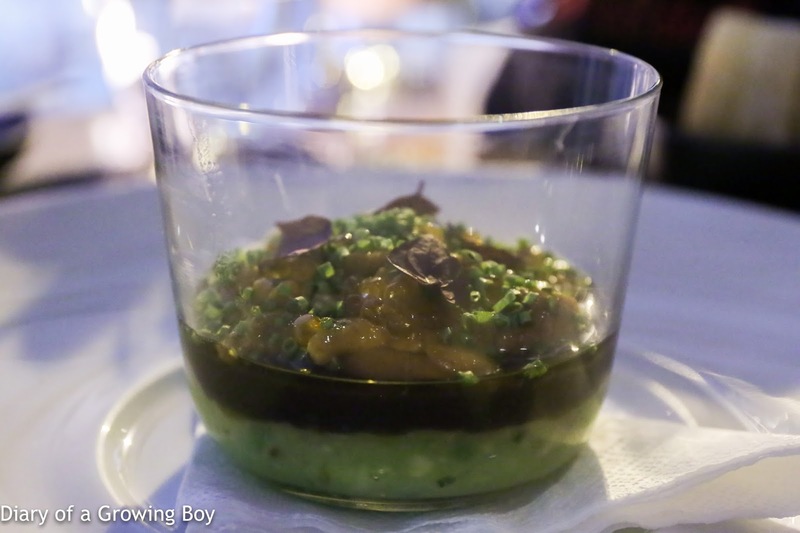 Tonight's version came with foie gras - which is always a no-brainer - and some damn good, tender, silky smooth pigeon. And it doesn't hurt that there were shavings of black truffle, either. I was so, soooo happy. 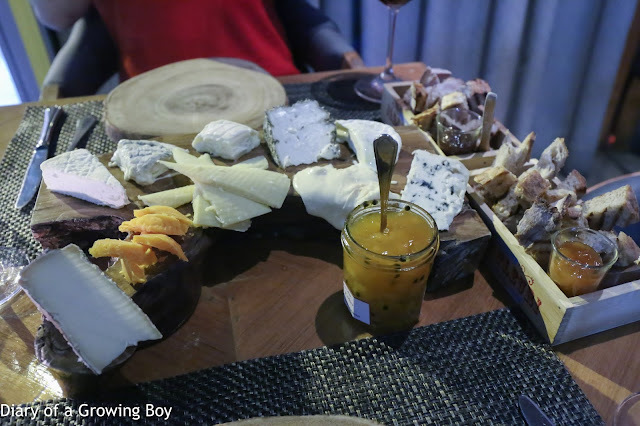 Cheese platter - I asked for some cheese, and luckily for my friend and I, the guys here know how much I love cheese. They've always been generous with me, but I was still shocked to find 10 different types of cheese in front of me. And three different jams from Christine Ferber! Couldn't figure the name of this one... something like "Berat" and made in Isère from cow's milk. Very dense and creamy, with slight goaty/gamey flavors. Pretty mild overall but there's a little acidity in the end. Anneau du Vic-Bihl - gamey with ammonia and animal notes. Very creamy. Pavé du Quercy - creamy on the outside but drier and denser in the middle. Definitely gamey and stinky. Brin d'Amour - coated with herbs like thyme and juniper, which delivered really strong flavors. High acidity. Pierre-Percée - very runny, slightly salty with a little ammonia. Saint-Nectaire - some acidity here. Mimolette, 26 months - I love aged Mimolette, and these were slightly salty but so full of flavor. Comté, 4 years - what has been left unsaid about this wonderful cheese? Vacherin Mont d'Or - it's the end of the season, and this was sooooooo runny, sooo ripe and strong. Awesome! 2012 Dujac Morey-Saint-Denis Blanc - huge nose of toasty oak, and so buttery, too. 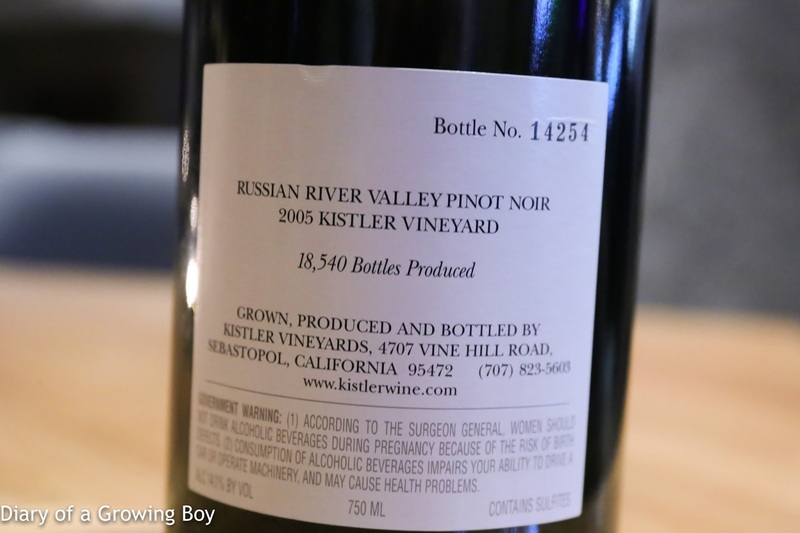 What a surprisingly delicious wine! 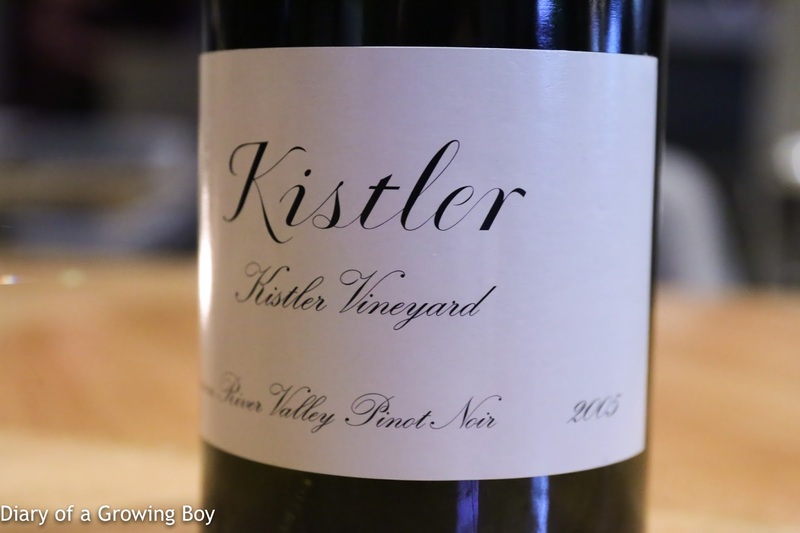 2005 Kistler Pinot Noir Kistler Vineyard - lots of fragrant sweet fruit, a bit of leather, and some cedar. Delicious as expected. Another really good meal here, even without Philippe or Jeremy. I should make it a point to come over a little more.